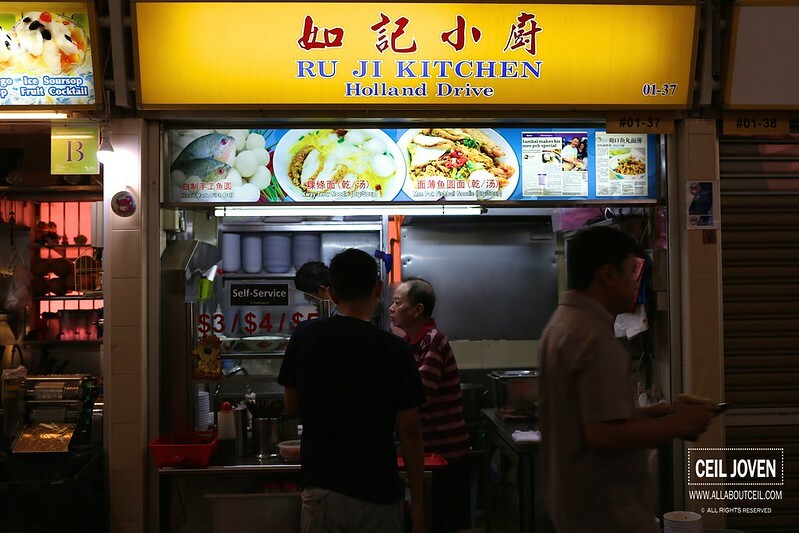 I have tried the Ru Ji Kitchen at Holland Drive, i remember the consistent long queue right in front of that stall and the relatively long waiting time for my bowl of fishball noodle there. I was told that the daughter started another stall with her husband at Old Airport Road Food Centre. I came here on a weekday looking for the stall. When i found it, i did not see the 2 Gen Y hawkers manning the stall but 2 uncles were there. I read that the daughter recently challenged Douglas of Fishball Story on a TV show. I could not help but wonder a little why is she not at the stall? Does that have anything to do with losing that passion? I was expected to choose between the $3, $4 and $5. 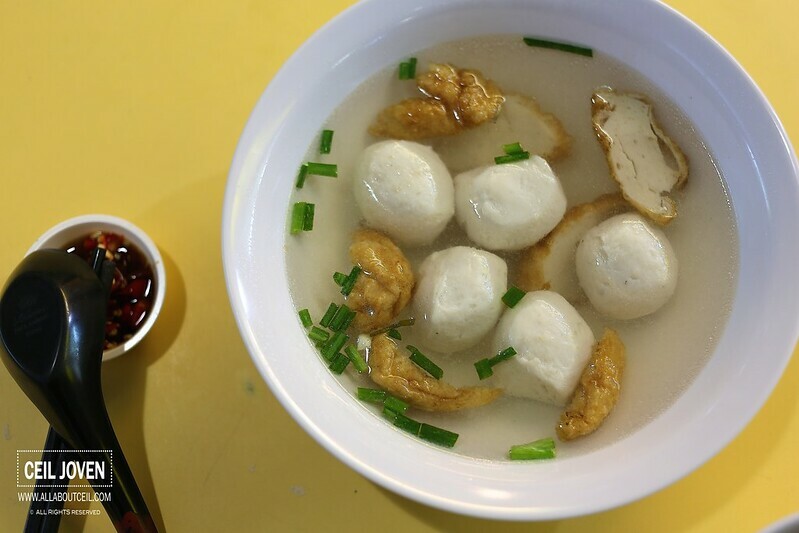 Each portion serves with a bowl of fishball and fishcake soup separately. Though i requested for an extra amount of chilli to be added but the level of spiciness was still quite mild with a slight sweetness likely from the ketchup and it was a slightly oily. The bits of fried pork lards enhance the flavor. 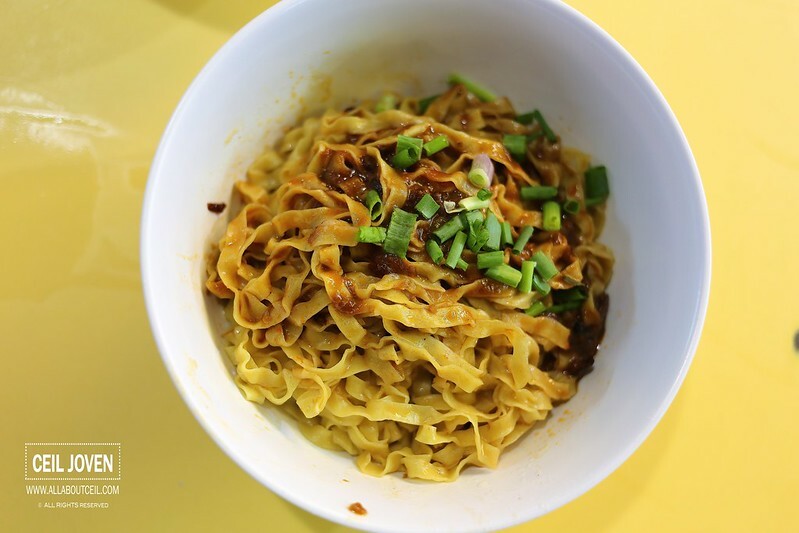 The texture of mee pok was cooked just right to give it the springiness. The $4 portion came with 4 pieces of fishballs and few slices of fishcake. 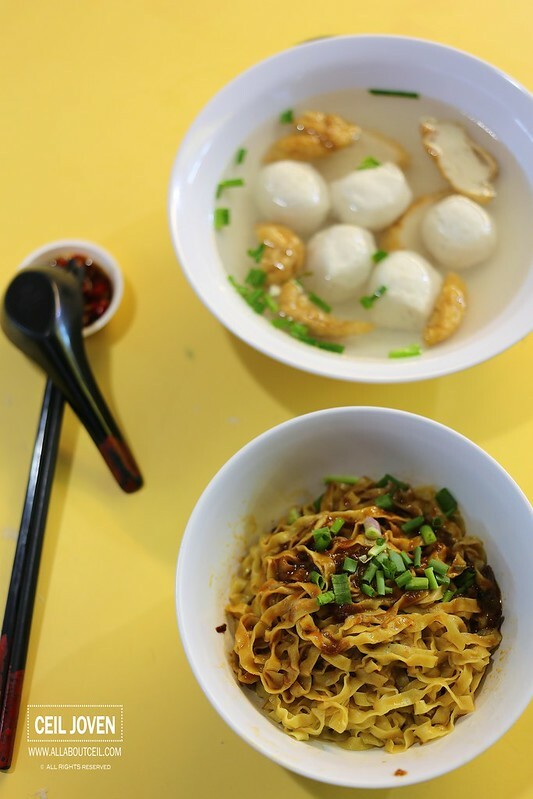 The texture of fishball has got a delightful chewiness and a noticeable bounciness. The soup tasted quite light with a slight peppery taste. It was a slightly above average bowl of fishball noodle but it is not good enough for me to travel all the way just to eat it.